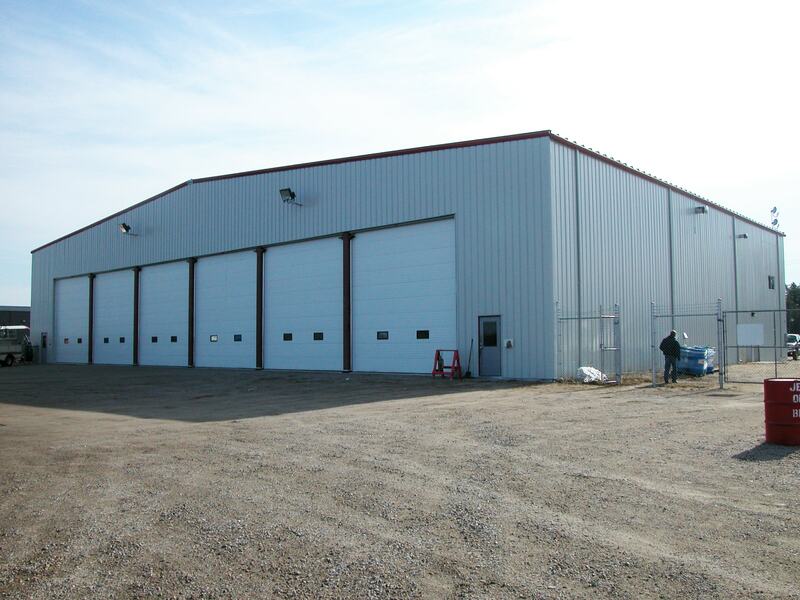 With 27’ wall heights, this airplane hangar has the height required to accommodate three floors along the front of the structure. Six 18’ high overhead doors line the back wall, each of them supported in between with steel columns. 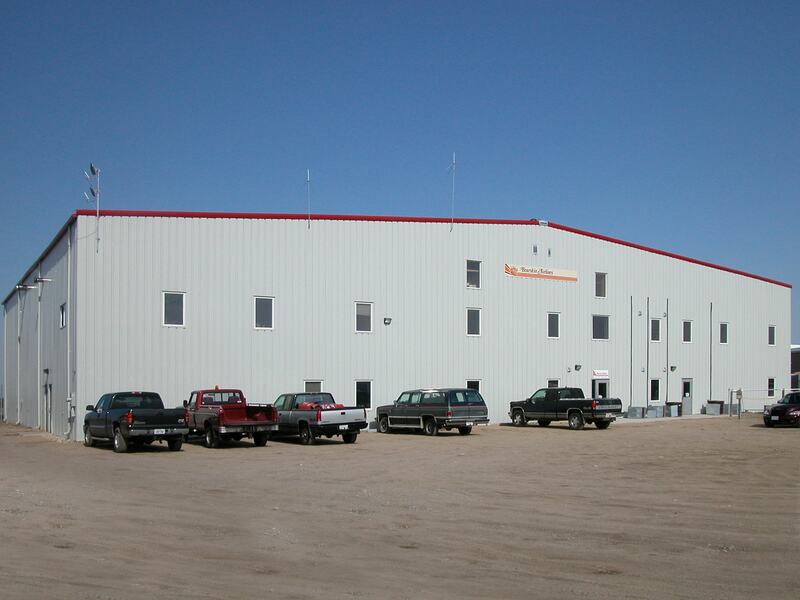 This white building with brilliant red trim looks crisp and clean against the blue skies of northwestern Ontario. The interior consists of private offices, washrooms, and a storeroom on the first two floors of the mezzanine area, while the third floor overlooking the hangar is used exclusively for storage. The towering 27’ wall heights of the hangar dwarf the aircraft and other airport vehicles being maintained inside. 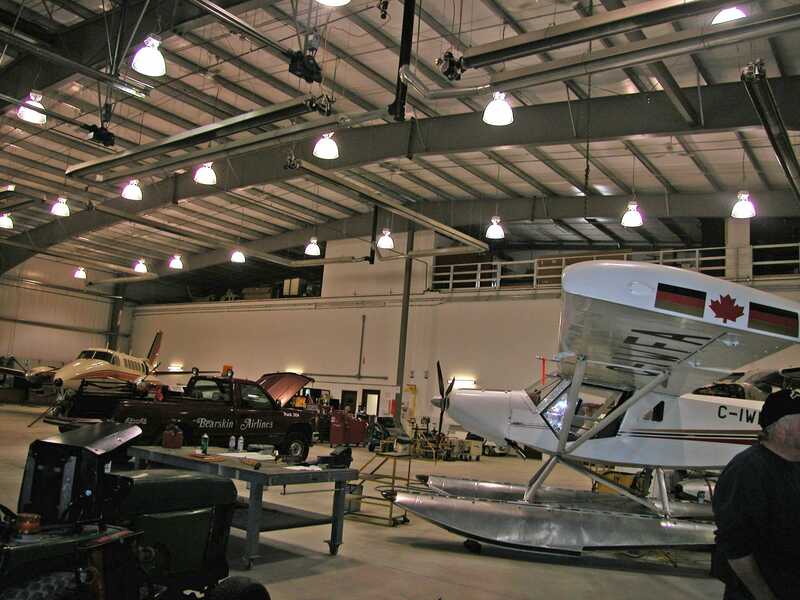 Space and function is what this aircraft hangar is all about!